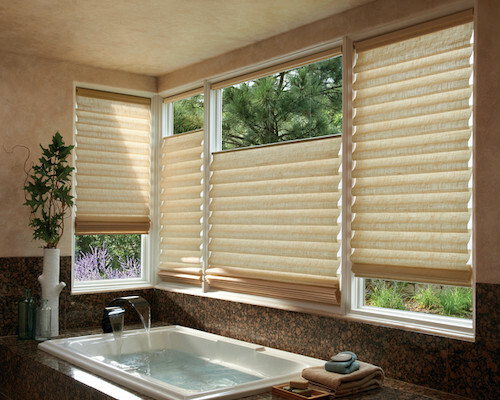 Hunter Douglas Vignette® Modern Roman Shades have elegant cascading folds to create a sophisticated look on any window. Roman shades are easy to operate. They are available with a retractable cord system called UltraGlide® without exposing dangling cords. If you prefer a cord system, EasyRise® is a continuous loop system that allows you to pull the front of the shade cord loop down to lower it and pull the loop down in the rear of the roman shade to raise it. 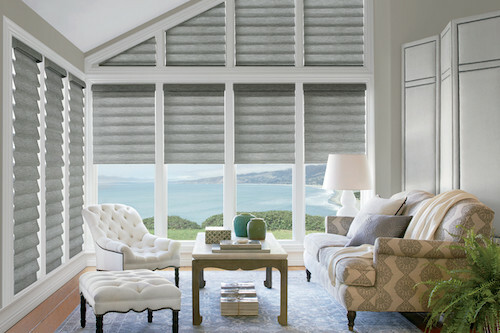 Automated Roman Shades are also available with the Hunter Douglas PowerView® Motorization system. Ask about cordless blinds and automated window shades for child and pet safety. 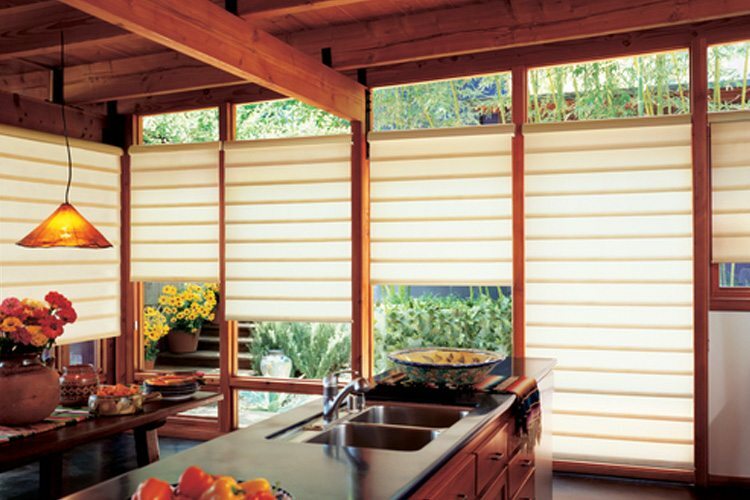 If you prefer cordless operation then PowerView™ by Hunter Douglas is the solution for you. PowerView™allows you to wirelessly control your shades by phone, tablet or remote control. The new, sleek remote control called the Pebble™ gives you the ability to raise and lower blinds and shades at the touch of a button. Operate your shades on timer in any room of your home or office simultaneously. Visit our motorization page to learn more. Taking a much needed vacation? The neighbors won’t even know you’re away. Schedule preset times on your devices to raise your shades at sunup and lower them for privacy at sundown even while your away. 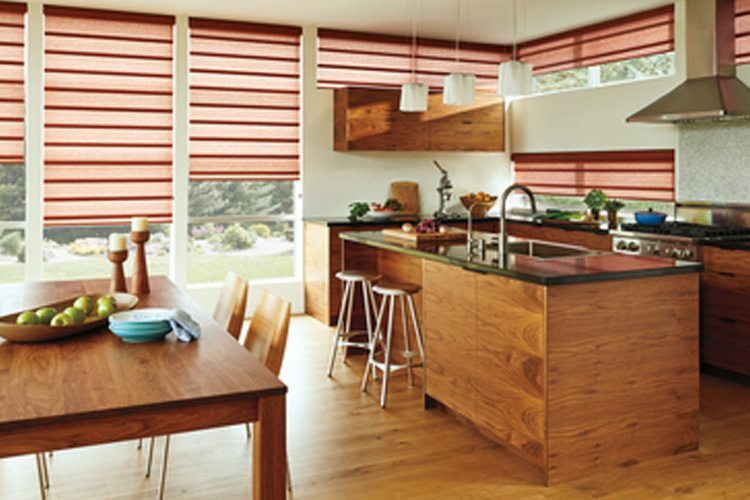 PowerVlew™ Motorization from Hunter Douglas is the ultimate in technology, luxury and peace of mind. 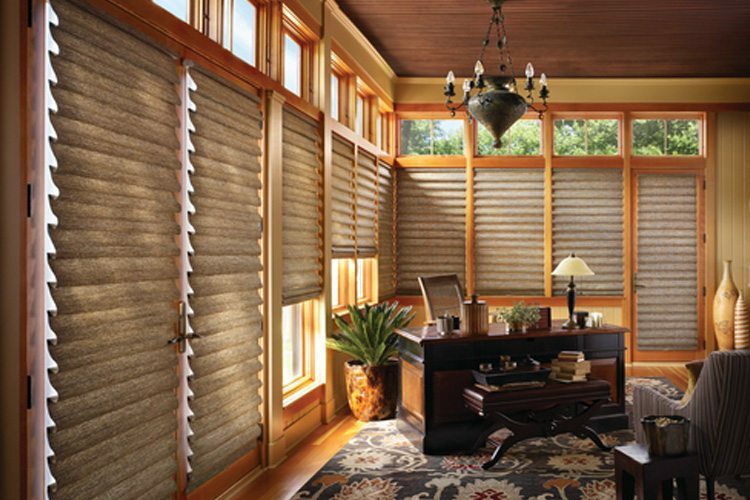 Schedule your free motorized blind and shade consultation today. Custom fabric roman shades are available in many styles including Classic, Hobbled, Relaxed, London, Knife and Ribbed Pleat. Choose from hundreds of fabric choices with options for cordless control, linings, decorative trims and sheers. If you have a fabric in mind, we can create a roman shade using your own fabric. United Decorators has tons of options when it comes to roman shades. 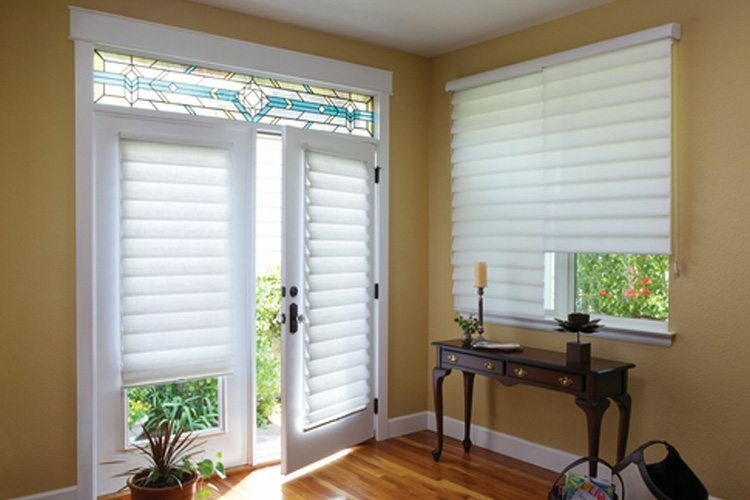 You can choose from flat or roman shades with folds in various sizes, colors and patterns. Let us know if you have a roman shade design in mind. We’ll help you narrow down the choices to create the perfect window covering.